Invalidenstraße – Cemetries, „Feuerland“ and Berlin Wall - Berlin erleben ! We start our tour on the “Dorotheenstadt cemetery” (“Dorotheenstädtischer Friedhof”), where a lot of prominent Berliners are buried. Selected stories will bring them to life. Borsig was a famous manufacturer of locomotives in the 19th century. His first factories were located in the so-called „Feuerland“ (“Land of Fire”). Learn more about this exciting era of industrial departure. 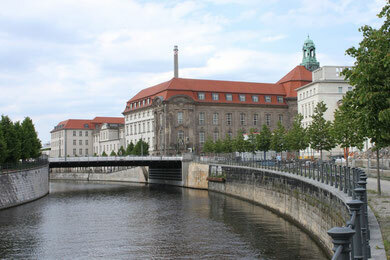 We see various important buildings constructed in the style of Renaissance or Classicism along “Invalidenstraße”, which are of importance today as well. 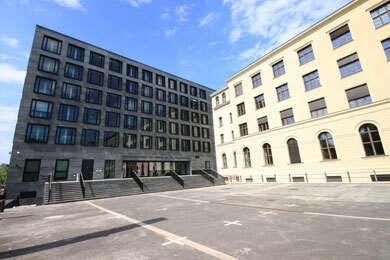 We get to know the location of the former “Invalidenhaus” (“Home of Invalids”) and the usage of this building today. The "Invalidenfriedhof” (“Cemetery of Invalids”) is located in the immediate vicinity of the “Invalidenhaus”. A lot of prominent people who lived in old Prussia are buried here.